The Lions are sweeping their hotel rooms to remove the risk of being spied on during their tour of New Zealand. 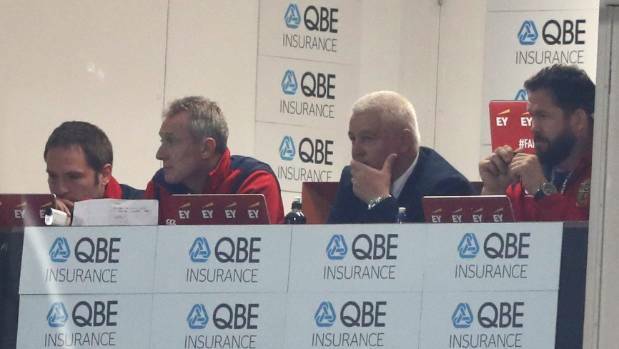 The Telegraph report that the Lions have asked their security team to regularly check for bugs and listening devices that could potentially be listening to discussed tactics among players and coaches ahead of the test series. The All Blacks were embroiled in ‘Bug gate’ as an immense row ensued between unions from Australia and New Zealand when a listening device was located in a hotel room in Sydney where the All Blacks were staying prior to a Bledisloe Cup match in August. GETTY IMAGES – The Lions coaching team look on in Christchurch. 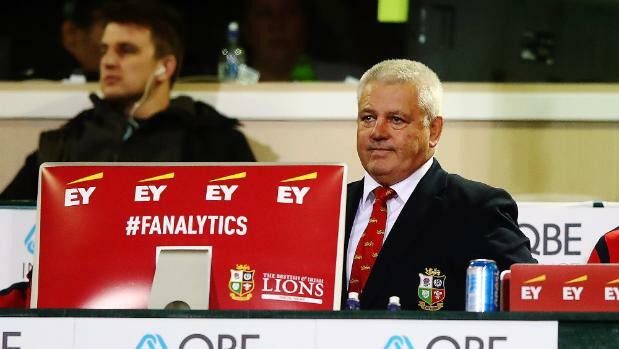 There’s no suggestion the All Blacks are spying on the Lions, but the tourists are taking no chances with a four-man team from security firm Veritas utilised to search for bugging devices, as used on tours of South Africa and Australia in 2009 and 2013 respectively. “We have a security team who are very experienced in this,” John Feehan, Lions chief executive, told the Telegraph. “They are experts in electronic surveillance, to ensure that we are not being looked at or listened to. “The team room, for example, is swept regularly and no one is allowed in there unless they are part of the squad, and if there is any suspicion at all they will do another sweep. 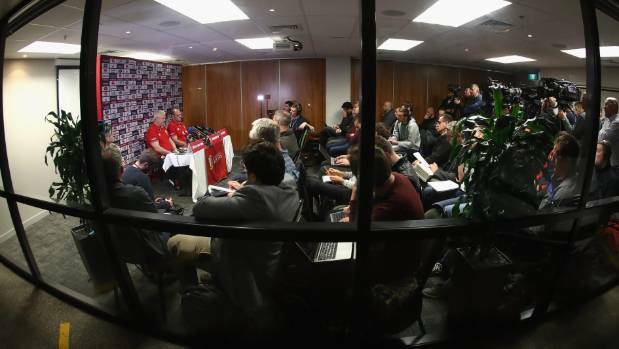 GETTY IMAGES -Gatland and Rory Best face media in Hamilton. Details of ‘Bug gate’ emerged on the morning of the Bledisloe Cup test back in August, which the All Blacks won 42-8, and a subsequent police investigation led to the arrest of All Blacks security guard, Adrian Gard, who was charged with one count of false misrepresentation. The 2005 Lions squad touring New Zealand were convinced their lineout calls had been cracked by spies, to such an extent that changes were made days out before the first test and it backfired dramatically as the All Blacks won 21-3 in Christchurch before coasting to a 3-0 series victory. © 2018 Eclipse Support Services Ltd. All Rights Reserved.